In the Pacific Northwest region, our homes take a beating from Mother Nature. Harsh winters, lots of rain, and other environmental factors all take a toll on your home's exterior, especially the roof. That's why, when it comes to roofers, Clyde Hill residents need a company staffed with certified professionals who are familiar with the climate-related challenges of this area. That's why they need a company like Emerald State's Clyde Hill Roofers. Since its inception, Emerald State has rapidly become Clyde Hill's roofers of choice. We offer an unbeatable combination of expert craftsmanship, top quality materials, affordable prices and exceptional customer service. While trained in all aspects of exterior maintenance, the certified professionals at Emerald State specialize in roof repair and replacement. 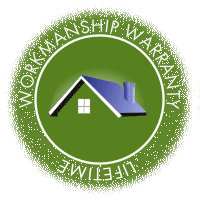 No other Clyde Hill roofers can match the level of workmanship we provide. 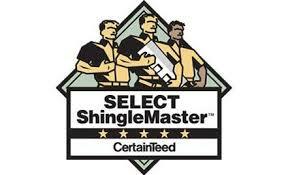 In addition, at Emerald State, we are masters at selecting the right materials for your roof. Not all roofing shingles are the same, and the materials used will have a huge impact on the longevity and appearance of your roof. For instance, asphalt shingles are low cost and easier to install, and therefore are a popular choice among many Clyde Hill roofers. 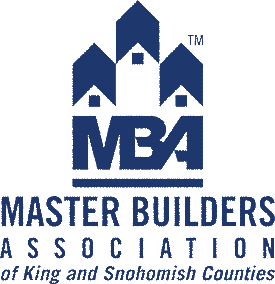 King County is in the heart of the Puget Sound region, and weather plays a big factor in the stability of area roofing materials. Asphalt shingles are very porous, which makes them more susceptible to moisture than other types of shingles. Therefore, they are also more prone to succumb to water damage, mold, and mildew. Higher grades of asphalt shingles (such as laminated or architectural grade) will be more durable but, generally speaking, even when properly treated and coated, asphalt shingles tend to have a shorter life span than other types. Wooden shingles (especially cedar shake) are also very popular in this region because of their aesthetic appeal. However, these types of shingles are also quite porous, and need to have a proper protective coating in order to extend their life, prevent fading, and guard against decay. They also require more frequent cleaning and maintenance. Metal shingles are also popular in the area because of their durability and versatility. They do to tend to be on the expensive side, and some people find them to be annoyingly noisy in a rain storm. Emerald States Clyde Hill Roofers are certified experts to help keep your mind at ease through the process. At Emerald State, we'll discuss your roofing options with you, and make sure that we arrive at a solution that best suits your needs and budget. Whatever the size and scope of the project, our team of professional Clyde Hill Roofers will get the job done cleanly and efficiently while keeping you appraised every step of the way. After all, customer satisfaction is our first priority, and we will do everything in our power to make sure that you are completely happy with the work we perform. You have our guarantee! Why not call us today and find out why Emerald State has become the area's number one choice in Clyde Hill roofing companies? You can request a free, no obligation onsite quote and consultation anytime! If you are having your roof replaced, you need to consider a number of things. Assuming you are tearing off the old roof, you will want to make certain your roofer does a full inspection of the existing structure. Roofers that are in a hurry or are of the 'slap and dash' variety may prefer to just get the new roof up and done so they can move on to the next job. Don't work with these types of roofing companies. Make sure the roofer fully inspects the structure and provides you a written analysis of the situation. He or she should point out any areas of water damage or structural failure that are better addressed BEFORE the new roof is put on. It may delay the roofer and his crew but it will save you money down the road. It is not worth putting an expensive new roof over a structure that is likely to warp or fail in the future. Below the shingles and above the sheathing goes a layer of material that provides a moisture barrier called underlayment. Certainteed and GAF DO NOT require underlayment except in certain situations such as low slope roofing. 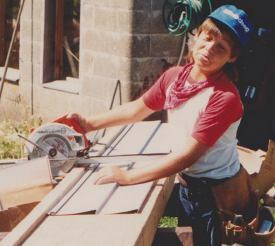 However, these manufacturers DO recommend underlayment as a way to a) protect against blown rain blowing up under the shingles and reaching the decking, b) keeping decking sap from reacting with the shingles, c) maintaining top level fire protection compliance, and d) in order to maintain compliance with local building codes. Not using underlayment saves money and reduces the cost of the roofing installation for you and roofers. 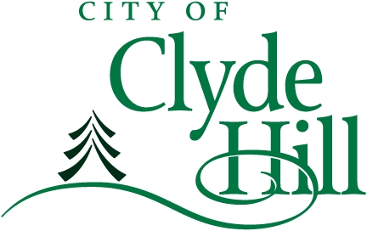 Clyde Hill code may require underlayment, and if used it is important that the material used is designed for this purpose. 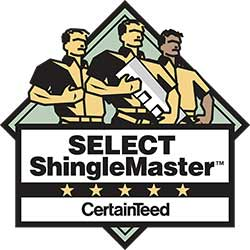 Failure to use quality materials can result in an underlayment that does not breathe and causes moisture build up that can damage the sheathing, or sheathing with an expansion coefficient not consistent with the shingles that can cause buckling and raised shingles that are not attractive. If the roof is low slope it is particularly important that the underlayment be used as high wind conditions can cause lifting of the shingles and exposure of the sheathing to moisture and leaks into the home.